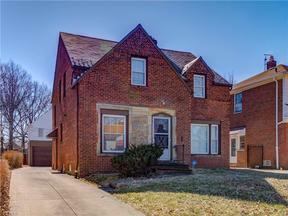 University Heights Ohio Homes for Sale -University Heights is a quiet suburb of Cleveland just minutes from the Cleveland Clinic main campus, Case Western Reserves’ University Hospital main campus along with many of Cleveland’s popular museums and festivities. 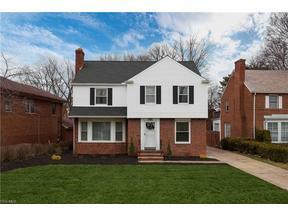 Shaker Heights neighbors to the South with South Euclid and Cleveland Heights neighboring to the North. University Heights has some areas where homes can range in the upper 300k range but also, being a college town, there are homes and condos available to purchase and rent. Surrounded by major highways and interchanges, University Heights is the ideal place to live if you want a quick commute to and from the city to surrounding areas. Enjoy concerts down at Jacob’s Pavilion, visit the Jack Casino or catch a comedy show at Hilarities on East 4th Street. 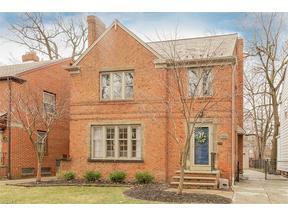 University Heights Ohio is close to all Cleveland has to offer! 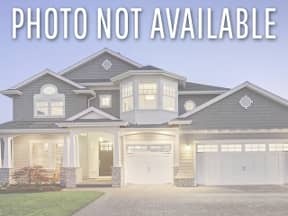 Search below for University Heights Ohio Homes for Sale. Contact our Sales Team for more information about University Heights Ohio Homes for Sale.